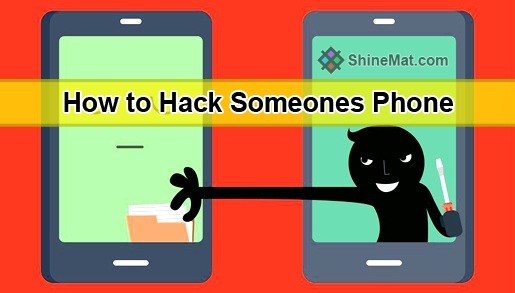 Home > Tips and Tricks > Why Should Use Android App To Sneak Into Someone’s Phone? With the passage of time, technology has brought us so many great and amazing things. We live in a digital era where privacy has become a matter of great concern for every person. Parents are worried about their children and the way they use their phones, people in relationships doubt their partners whereas an employer is not happy with his employees and how they waste time in office. The solution to all these problems is Blurspy android monitoring app. But we will talk about the app in the next sections. Why there is a dire need to use such apps that can monitor others, and keep eyes on their activities online as well offline. We are going to talk about it. Why it should be used, when you should use a monitoring app and how you can sneak into anyone’s android phone with a monitoring app. Why You Should Sneak into Someone’s Phone? Below are the reasons why you should check someone’s phone like this. The parents nowadays have great concerns when it comes to their children. Every teen has a smartphone, or tablet with access to the internet. They spend most of their free time on phones and screen instead of playing out with friends and study their books. As time went by, teens became more addictive to the devices and screens. They started using social media, dating sites and accessed adult content on their phones and devices. These things have worried the parents. Furthermore, the teens are sharing intimate photos online, they are doing sexting, and they date with strangers and put their private information on social websites. Now with all this, every parent should check the activities of their children with a monitoring app. READ ALSO: How To Open Flash Drive Without Formatting? People cheat on their spouses and partners even being in relationships. They talk to other people and pretend like they have done nothing wrong. They behave in a weird way with their wives and partners. This has become a serious headache for the partners and they want to find out what the problem is and why their partners are behaving strangely. All such partners should use Blurspy Android Spy Software to make sure what the truth is. With an app like this, they can check their partners and keep strict eyes on their online as well as offline activities. They will soon figure out. With this, they can fix the issues and decide whether they should live together or party with each other. The people who own and run business spend years to make a company. The hire the staff, pay them good salaries and buy expensive computers, devices and other stuff for them. In the end, they face losses not because of them. But due to the workers and staff whom they hired and paid handsome salaries. Many people at work misuse office devices and computers. Companies have faced losses and they lost billions of dollars just because of some poor employees. So the owners want to keep eyes on their workers and make sure they are not doing any fishy when they are work. Even some people share secrets of an organization with others and these results in financial losses for the bosses. READ: How To Find The Gmail / Google Account Creation Date? These three people really need a solution and that is a monitoring app. With a Spy app, like Blurspy Android Spy Software these people can solve their problems, fix the issues and move ahead. They will feel better. Even they can do more stuff with a monitoring app. Parents can check the call activities of their children if they are suspicious about their activities. A partner can listen to the calls of their wife or husband to find out the truth. Similarly, a boss can check the calls of a worker who he doubts. SEE ALSO: How To Create Apple ID For FREE? A monitoring app also allows the users to check text messages of the target person. On their Android phone, you can view all the sent and received text messages. With this feature, anyone can track the location of their target device. This will make things simple for the person who has been worried about their children, partner or want to know what their target person has been doing. Aline writes about the latest technology trends. She is an expert in digital parenting and mostly covers Android spy app reviews and some digital mom’s related stuff about the dangers our children face every day on the internet! Her work turns around the most recent in Android spy app like BlurSPY.